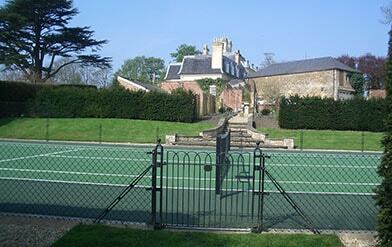 Elliott Courts have built tennis courts throughout the UK for more than 25 years. As part of the world-famous En-Tout-Cas Group we offer local expertise backed up by the best known name in tennis court construction. Choose from hard court, a variety of synthetic grasses and artificial clay sports surfaces. Whether you need a championship standard court or a multi-use sports surface for the family, we can advise you of the best choices. Cleaning your court regularly will make it look great, play better and help you keep your footing more easily. It will also prolong the life of the court. Talk to us about our professional tennis court cleaning services. An Elliott Tennis Court will give you years and years of enjoyment. That's because when we build a tennis court , we make it to last. We use state of the art construction equipment, backed up by an old fashioned approach to quality and value for money. The only all-weather tennis courts we build are indoors. It is, of course, impossible to play in thick fog, inadvisable to play in the snow and dangerous on ice. For that reason, you will not find one of our surfaces referred to on this site as an 'all weather' tennis court. 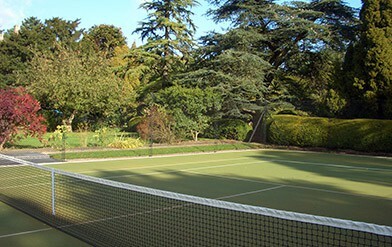 Elliott Courts are made and supplied by En Tout Cas - the original manufacturer of all-weather courts and sports surfaces. En Tout Cas was founded in 1909 and continues to be a byword for British-built quality and excellence. © 2019 Elliott Construction (Anglia) LLP. En-Tout-Cas is a registered trademark. To find out what makes our courts, fences and cleaning services so special, you need to see our new brochure.